I received this product in exchange for my honest review. The opinions expressed here are my own. To say that I love these pencil sharpeners is an understatement. I have shown them to just about everyone I know. 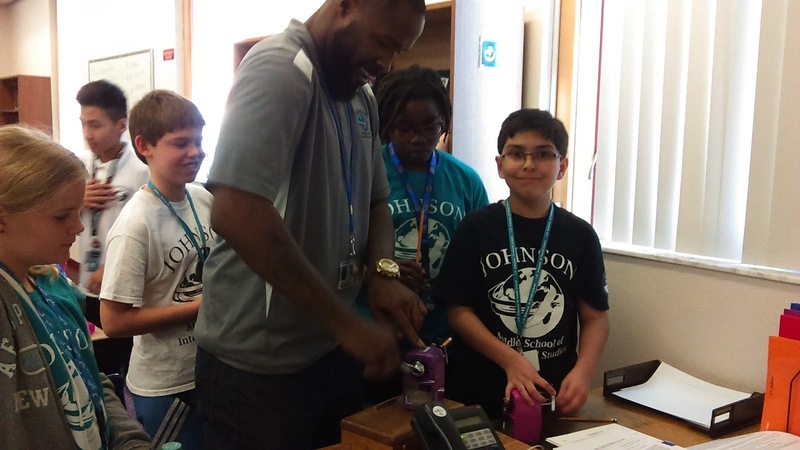 When parents came to our "Back to School" night, the kids took their parents to my pencil sharpener to show them how it worked. Then I watched parents pull out something to write with and write down the website. Our night custodian comes in each night and sharpens the pencils he finds in the hallways. He loves my pencil sharpener. 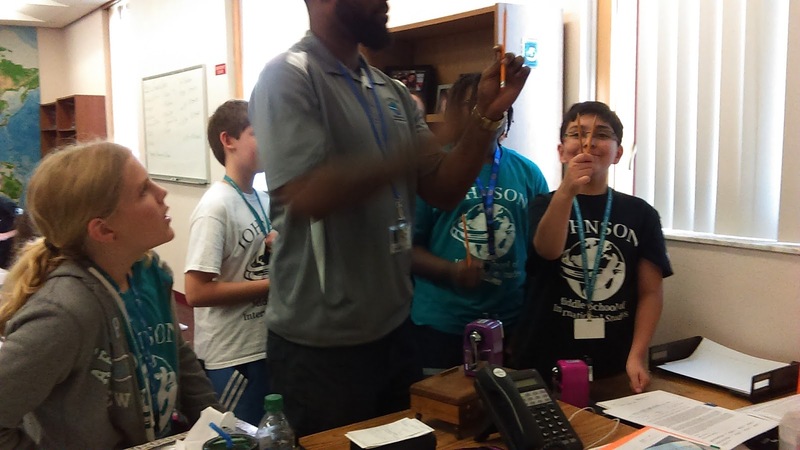 The best salesman in our school is one of our parent liaisons. He came to my room and saw the kids lined up at my desk. He asked about it and I showed him. Mr. Belvin is trying out my brand new purple pencil sharpener while one of my students uses my ever popular pink pencil sharpener. Students line up with multiple pencils so they don't have to use the sharpeners in the other classrooms. the sharpness of their pencil leads. The number one comment about their lead is that the end is not so pointed that they snap the minute you begin to write. The sharpness seems to last longer than most sharpened pencils. 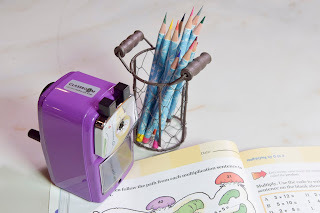 Mr. Belvin was so impressed with the purple pencil sharpener I thought I'd lost it. He snatched it up and left my room yelling he'd bring it back. He took it around to different rooms to demonstrate it to the teachers. 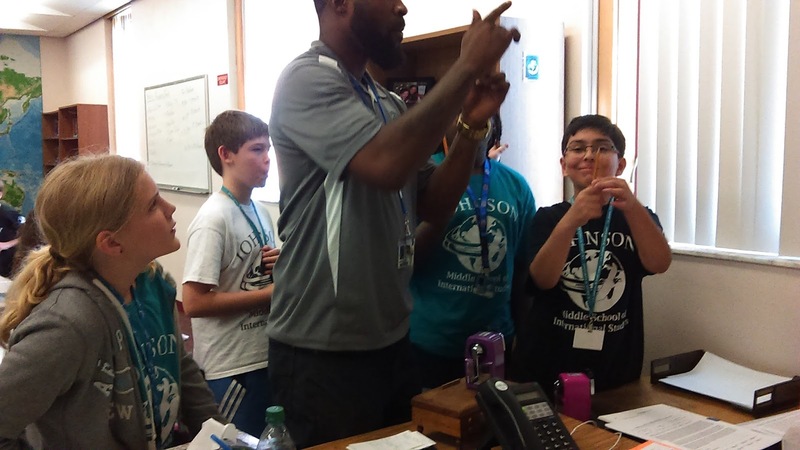 He tried to see the principal and was unable. I however, did see her after an afternoon meeting. I demonstrated it for her and she asked for the information because she would like to buy them for the teachers at our school. Several of the parents have told me they are ordering one for their child for Christmas. I can think of nothing better for a Christmas gift. I love the way they are heavy duty and durable. I like that if the sharpener ever gets dull I can replace it for just a few dollars. I especially like the fact that I can change it my self. I rewarded Mr. Belvin for his great job of promoting this sharpener by purchasing one for him and his children. I will continue to promote this sharpener. I do not get paid for this. I don't need to. You may think that is crazy, but I believe in this product that much. I would recommend everyone get this sharpener. It comes in many colors. However, This new purple one is something to be very passionate about.